By AGENCE FRANCE PRESSE, SANAA, April 15- Saudi Arabia and Egypt are considering holding “large-scale” military manoeuvres after launching air strikes on Yemeni rebels who have been slapped with a UN arms embargo and sanctions. In a possible sign the Saudi led air campaign against the Shiite rebels may expand into a ground operation, Cairo said it and Riyadh were mulling the exercises in Saudi Arabia, with other Gulf countries participating. “It was decided to form a joint military committee to look into a large-scale strategic manoeuvre on Saudi territory,” Egyptian President Abdel Fattah al Sisi’s office said late Tuesday after he met the Saudi defence minister. 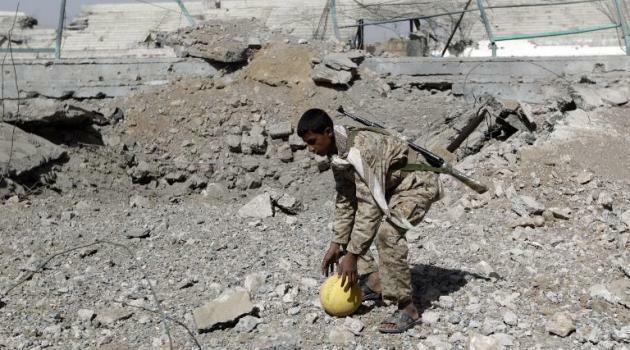 Saudi Arabia and a coalition of Arab countries launched the air strikes on March 26, after the Iran-backed rebels seized the capital Sanaa last year and advanced on the main southern city of Aden, where President Abedrabbo Mansour Hadi had taken refuge. Hadi fled to Riyadh from Aden, which has since seen heavy fighting between pro- and anti-government forces, with overnight rebel attacks killing at least seven people. Saudi Arabia has accused Tehran — the main Shiite power — of arming the rebels and the conflict has heightened tensions in the Middle East. World powers united against the rebels on Tuesday, with the UN Security Council voting to impose an arms embargo on the them and hitting their leaders with sanctions. The UN resolution — the first formal action taken by the Security Council since the start of the Saudi led raids — demands the Huthis withdraw from Sanaa and all other areas they have seized. It slaps an arms embargo on Huthi leaders and their allies and puts chief Abdulmalik al Huthi and ex-president Ali Abdullah Saleh’s eldest son, Ahmed, on a sanctions list, imposing a global travel ban and an assets freeze on the two men. The Huthis have allied with troops loyal to Saleh, who was forced from power in 2012 following a year of nationwide protests against his three-decade rule. Iran has denounced the Saudi intervention as “criminal” and on Tuesday proposed a ceasefire followed by foreign mediated talks to end the conflict. Iranian Foreign Minister Mohammad Javad Zarif, addressing reporters in Madrid, called on world powers to back Tehran’s peace plan. “I proposed a ceasefire followed by all inclusive Yemeni dialogue that is facilitated by others,” he said. The Huthis are drawn from Yemen’s Zaidi Shiite minority and have long complained of marginalisation, fighting several conflicts with central authorities. The World Health Organization says at least 736 people have died in the conflict since April 12 and more than 2,700 been wounded. The United Nations said nearly half of the casualties were civilians and UN human rights chief Zeid Ra’ad Al Hussein called Tuesday for an investigation. “Such a heavy civilian death toll ought to be a clear indication to all parties to this conflict that there may be serious problems in the conduct of hostilities,” he said. Thousands of foreigners have been trapped in Yemen by the conflict but recent days have seen an increase in evacuations. Rejecting claims from Yemeni-US dual nationals of being abandoned in the country, Washington said Tuesday that hundreds of American citizens and their families had been brought to safety in Djibouti in the Horn of Africa. Pakistanis who fled the fighting told AFP of terrifying dashes through war-torn areas, dodging bullets and shells to reach naval vessels evacuating foreigners. “It was continuous shelling, continuous firing and the tanks moving on the roads. It was quite frightening for us,” said Pakistani teacher Saima Tanveer, who was among around 170 Pakistanis who escaped the country on April 3. Before the latest chaos, Yemen had been a US ally in the fight against Al Qaeda, allowing Washington to carry out drone strikes. US special forces have withdrawn from the country since the government fell, but strikes continue even as Al Qaeda and the Huthis clash. Al Qaeda in the Arabian Peninsula said its ideological leader Ibrahim al Rubaish had been killed in a “crusader” drone strike on Monday.